Four-time Olympian Silken Laumann is launching a website that celebrates great stories of resiliency and inspiration, alongside health tips and advice from professionals. 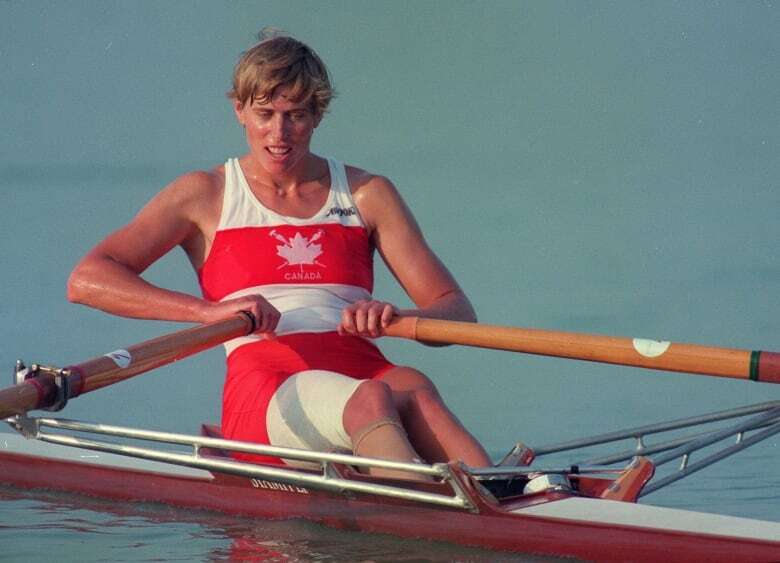 Silken Laumann, who won three Olympic medals in rowing, has launched a new story-sharing website to inspire and help through stories of adversity and inspiration. Champion rower Silken Laumann is launching a website that celebrates great stories of resiliency and inspiration, alongside health tips and advice from professionals. It takes the same name as the Olympic medalist's 2014 memoir, Unsinkable, with a twist: "We are unsinkable." Along with stories of resiliency, the website offers physical and mental health advice. Dr. Jillian Roberts, a clinical psychologist who is providing regular content, calls Laumann "the embodiment of resilience and grit" and the perfect person to help others heal. Laumann, known as an inspiration for her athletic success and triumph over physical adversity, joined The Homestretch to talk about her newest venture. Q: Tell us about your new website. A: It's a story-sharing platform and it's a place where anybody can share their story of what they've overcome. It's stories of Canadians who have shown courage and resiliency, specifically in the space of physical adversity and mental health. So you'll see notable Canadians, names you might recognize, like Mark Tewksbury, myself, Margaret Trudeau. But you'll also see what I would think of as neighbourhood heroes. And there are some amazing stories. Q: Where did you come up with this idea? A: I think in a way I've been hearing people's stories my whole life through. In '92 when I had my accident 10 weeks before the Olympic Games, I had this physical adversity, went on to win an Olympic bronze medal and I heard everybody's story of what they'd overcome physically. And five years ago, when I wrote my book, Unsinkable, and it was a pretty raw memoir, I shared my struggles growing up with a mom who had an undiagnosed mental illness … living in an environment where I never knew what mom I was coming home to. And my own struggles, particularly after my children were born, with depression and anxiety. It opened up a whole different kind of conversation. Often, when I hear people's stories, I think, 'Wow, people are so inspiring' — what people go through, and not only get through it, but often find a way of helping others. It's pretty cool, and I wanted to share it with more people. Q: Can you give us an example of one of those neighbourhood heroes that you referred to that people may not be familiar with? A: There's a man who wrote a story about serving on the jury in a really brutal murder case and how afterward he experienced PTSD and couldn't go anywhere for help. And in the process of finding help himself, he went back and changed the system. So now that there is help in place for jurors who have been part of really dramatic and violent trials. It's an amazing story of somebody who struggled a lot and gave back. Q: How did you go about recruiting people to share these stories? A: I was pitching a site that didn't exist. You know, tell us your stories. And so it it was amazing that people did. We had 50 pieces up on our website when it launched last week.… I'm a recognizable Canadian voice, I'm somebody who has shared my story and been very vulnerable about my struggles I think that was big. When you ask people, somebody who's struggled …somebody at some point opened up to them, and it made a difference in their life. And we know that's how it works because somehow when we're struggling, especially with mental health issues, there is a feeling of isolation and being separate. I know for me, when I struggled at my most, like 15 years ago, I felt very alone. It would have really helped to hear from another athlete, to hear from somebody who maybe was going through something similar. And so I think it's that sort of wanting to give back to that has motivated a lot of our writers. A police officer has contributed her challenges to stay mentally healthy in a very stressful environment. So my hope is that as people visit the site and interact with some of these stories, that they recognize themselves, a piece of themselves, maybe, in some of those stories. Q: So are you actively searching for stories like this or how does it work? A: We've got our radar out at all times, and we've asked journalists to tell us when they interview someone that's interesting,. But we've got the "contribute your story" button, and we're not expecting people necessarily to write their whole story. A lot of time we just want to know that they're out there what their story entails. Q: You mentioned Barcelona … that amazing inspiring story Canadians were talking about for years. And then you wrote the book five years ago. How is your life changed since writing the book? A: The writing of the book and the sharing of my story was coming eye to eye with the reality of my life. And I think kind of dropping shame that I carried around for a long, long time. And so there was a sense of lightness and a resurgence of energy, just by writing the book. Now the scary thing was I published the book. And so then begins the interaction with other people and their issues and their perspectives. "And I had to be in a place in my life where I was super at peace with who I was, and very clear that this was my truth, my experience, and not not really that worried about how people interacted with it, because it was my truth. It also clarified to me I didn't want to become a spokesperson, necessarily, for mental health, because that's not how I experienced it in my own life. In my own life, mental health, physical health and spirituality are intricately linked. I practice yoga and meditation, I exercise, I love going out. On Saturday, I cycled 65 kilometres with my cycling group. That's a mental health move for me. But obviously it's also physical health. So I wanted to also create a connection between that physical and mental health side. So it's been very transforming, it's affected my career decisions. To spend a year and a half working for nothing, putting this thing together, has been absolutely a labour of love. And I feel like I've given birth to something, and I've put it out there. And now I'm hoping that Canadians and people from all walks of life will really give it life, and it will go in the direction that people that are interacting with it want it to go."